Winter’s here. And your skin shows signs of it first… dryness, flaking, itching, and scaly patches. Isn’t it very, very uncomfortable and embarrassing too when you are in company? Wear warm clothes made of silk, wool, etc. Perform about 30 minutes of aerobic exercise thrice a week. Apply thick, creamy moisturizers just after a bath when the skin is still damp. If your skin still gets dry and itchy, choose from a mind-boggling range of carefully curated organic & natural body & face care products here. They contain herbal ingredients like aloe vera, azafran, patchouli, tea tree, essential oils, fruits, calendula, almonds…log on and celebrate your skin! Categories: Beauty, Green DIY, Health, Healthy Recipes, Live Green, Natural Mantra, Organic Living | Tags: #AerobicExercise, #AloeVera, #BabySkin, #BabySoftSkin, #ChappedSkin, #CrackedLips, #DrySkin, #moisturizer, #Moisturizers, #SkinCare, #SkinCream, #SuppleSkin, #WinterSkinCare, Aerobics, winter | Permalink. As winter approaches, our skin starts feeling dry and uncomfortable. We’ve all experienced it! But the elements don’t have to get the better of your skin. You can still maintain that beautiful, radiant complexion all season long. As the season changes, it’s time to change your skin care regimen and we are here to tell you just how! 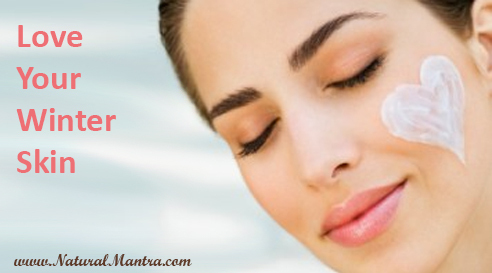 Don’t over look the sunscreen in winters. The sun is equally harmful in both the summers and the winters. This is one part of your skin care regimen that must not change. A good body scrub and facial exfoliant will help remove dead skin cells from your body, leave you feeling fresh and make your skin more receptive to moisturizer! Add this to your cleansing routine once a week. Avoid long steaming hot showers which are tempting in the winters. They lead to dryness and moisture loss. Bathe with lukewarm water instead and follow up by applying a rich moisturizer or body oil immediately after the bath to retain moisture. The best time to moisturize is right after you shower because it will help seal in the moisture. 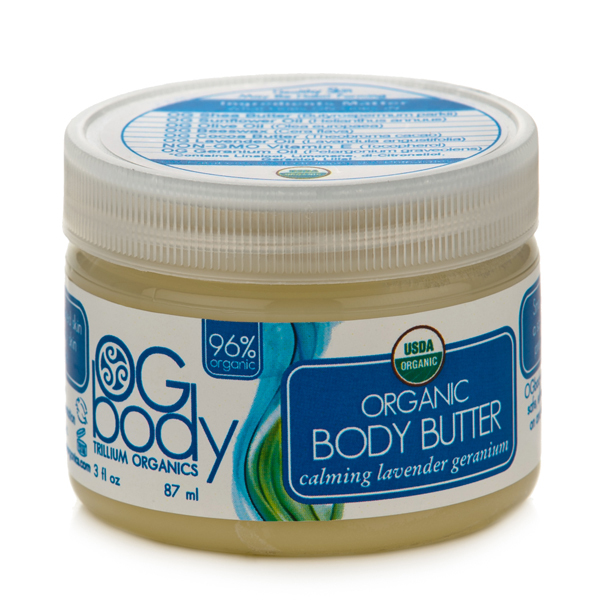 Use a natural oil-based moisturizer for your face and a rich body butter for your body. It will help fight the excessive moisture loss which makes your skin flaky. 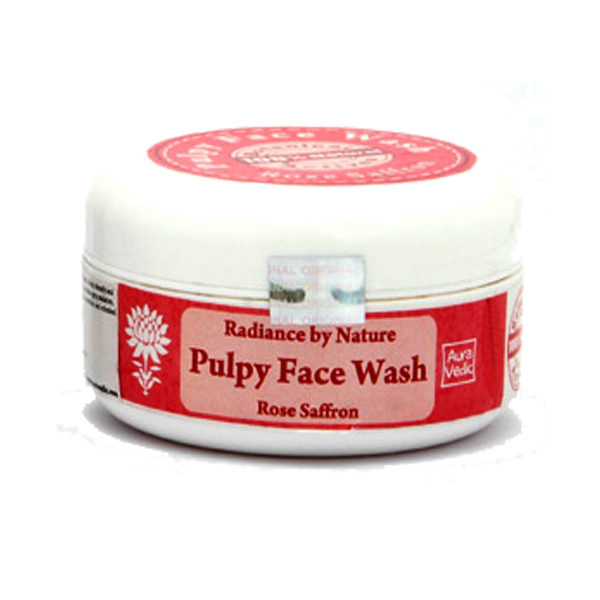 Your elbows, knuckles and knees are dryness prone areas so lather on generously. For your feet, apply foot oil or cream at night and wear socks. This will ensure the moisturizer fully seeps into your skin, making it soft and well-hydrated by morning. Use moisturizing face wash & mild cleanser. Try not to wash your face more than three times a day. Strong cleansers can strip off your skins natural oil and make it dry. Stays hydrated and drink loads of water. Eat fruits and vegetables that are packed with water, such as apples, celery and cucumbers. Herbal tea is also soothing when it’s really cold. Drink up and don’t let your skin go thirsty. 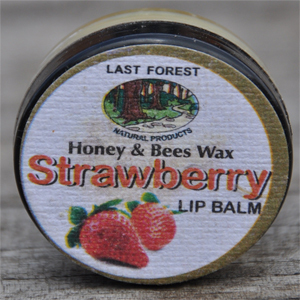 Protect your lips with a good-quality lip balm. Don’t lick your lips; this will only chap your lips more. Instead, keep the lip balm in your purse and apply whenever you like! Natural lip balms are non-toxic and do not contain any harmful chemicals, which is important because we always end up licking some, don’t we! Give the blow drier a miss this season. Hot air dries the scalp & irritates the skin. Try the tousled look or the wavy style instead. And don’t forget to oil your hair before washing. This will give your hair the added moisture it needs and prevent it from looking rough. Also, remember to invest in products which suit your skin and simply stay away from products that have sulphates, parabens and phtalates. We recommend using products made from all natural ingredients and which are absolutely chemical-free. Just avoid the dirty dozen when you buy any cosmetics! You are sure to notice a difference in your skin right away! Get set to bring on the new season and keep your skin happy! Categories: Natural Mantra | Tags: auravedic, beauty, cosmetics, dry hair, dry skin, eco-friendly, natural, Natural cosmetics, rich moisturizer, skin care regimen, winter | Permalink. Winter is here. Two weeks of ignoring my skin because of a tight work schedule, and I realised something had to be done. Due to low humidity, it’s now become unbearably dry. Had to bid adieu to laziness and say hello to a little pampering to my skin. Needless to say that I ain’t the kind who’d engage in long hours of pampering. Something quick, effective and and needless to say chemical-free. I have mixed skin which is sensitive. And thin scanty hair to boot. So I always have to remind myself to check product labels for any toxic chemicals that cause more harm than good in the long run. I personally always try to use as many natural, safe and non-toxic personal care products as possible to avoid harming my already sensitive skin and scalp. While I gathered the various natural options that were available to me to treat dry skin it came to me why not write a post that becomes a ready reference guide to you too. Within just a few weeks of religious skin care routine I can feel the difference. No kidding!! 1. Moisturise plenty. Use a good hand and body lotion to moisturise your hands. Pay special attention to the skin near knuckles and elbows since they darken and turn rough because of the extreme dry air. Soak in a bath. Use a body scrub to gently cleanse the dead skin. Use a soft towel to tap the skin dry. Do not wipe the water off. Even if a thin layer of water is left on your skin, it’s alright. Apply body butter and hand lotion except on the elbows and knees. 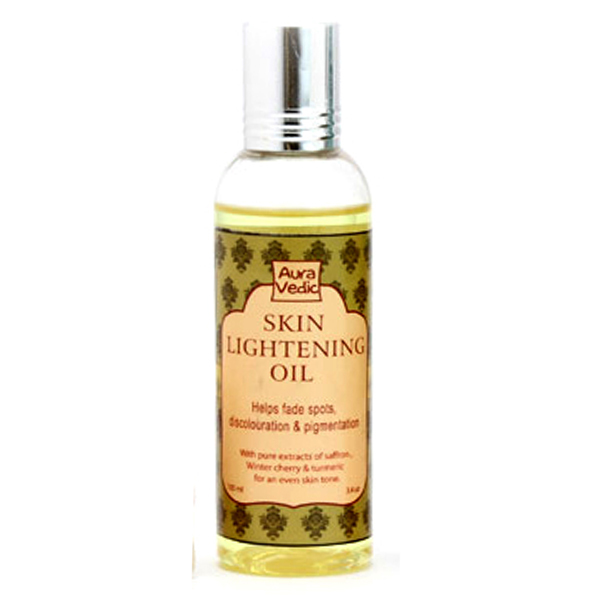 On the elbows and knees, use a skin-lightening oil to ensure that they do not darken further and with constant use, they will gradually regain their original colour. Follow up by applying the body butter or moisturising lotion. 2. Acne is a big problem during winter because of dryness. Start with the dictum: 8 glasses of water a day. Filtered tap water is a non-fancy inexpensive way to maintain your body’s water levels. A couple of extra trips to the washroom are better than muscle cramps, fatigue, dizziness and other symptoms that manifest themselves when you stop drinking water because it’s cold. Energy drinks, fizzy colas and coffee and tea do not count as fluid suppliers. To replenish skin that is already damaged, at night, wash up with a mild face wash and apply a facial moisturiser before turning in for the night. You might want to try an organic Aloe Vera Gel which has natural astringent properties and has multi-purpose uses. Use it like an antiseptic, or a recommend it as an after-shave it soothes and calms the skin without leaving it oily. To me it’s a must have in my purse. 3. The skin on the lips is very thin. Moisture escapes easily from here. Hence, to keep the moisture sealed inside to prevent chapped lips, apply a lip balm. Do this after bathing when there’s a tiny bit of moisture still present in the skin. You can later apply lip colour over it. Reapply the lip balm as often as your lips need it. 4. Hair also tends to suffer during winter. More than pre-monsoon weeks. Remember to use hair oil before washing with a mild shampoo, and a conditioner after washing. 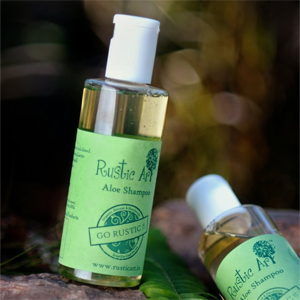 Rustic Art 100% Natural Aloe Shampoo.It really works! Tip: Rinse in tepid or cool water for the last two minutes (as cold as you can manage on winter mornings). This traps the moisture in the hair ensuring that it does not turn brittle when it dries out. You can use a scarf to protect hair from drying out in the breeze. 5. A perfect way to pamper your skin from top to bottom is to soak in a half hour bubble bath with fragrant oils and soft music. 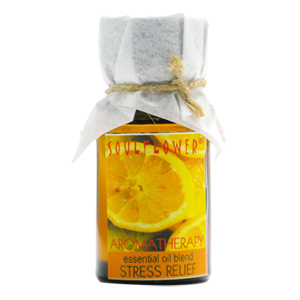 The aromatherapy oils work wonders in relaxing you. Alternately, you can also lavish your skin with an oil massage and then have a long soak in de-stressing bath salts. Remember to invest in a product that suits your skin type and hair type. Not choosing the right product for your skin and hair may worsen its condition. More importantly understand what is ‘truly natural’ and I can’t emphasize it enough. Simply stay away from products that have sulphates, parabens and phtalates. Incase this is too much to remember, visit NaturalMantra.com to shop for products for your family that are safe, healthy, non-toxic products. Their team screens product ingredients so you don’t have to. You will find a wide range of natural, organic non-toxic, safe oils, lotions, scrubs, and balms that you can choose from to pamper your skin and hair during the aftermath of winter. Visit NaturalMantra.com for the full list and details of all natural products. Categories: Natural Mantra | Tags: aloe vera gel, auravedic, ayurvedic, conditioner, dry skin, last forest, Natural cosmetics, natural moisturiser, Natural remedies, OG Mama, Omved, online store, rustic art, shampoo, tips for dry and oily skin, Trillium Organics, winter | Permalink.